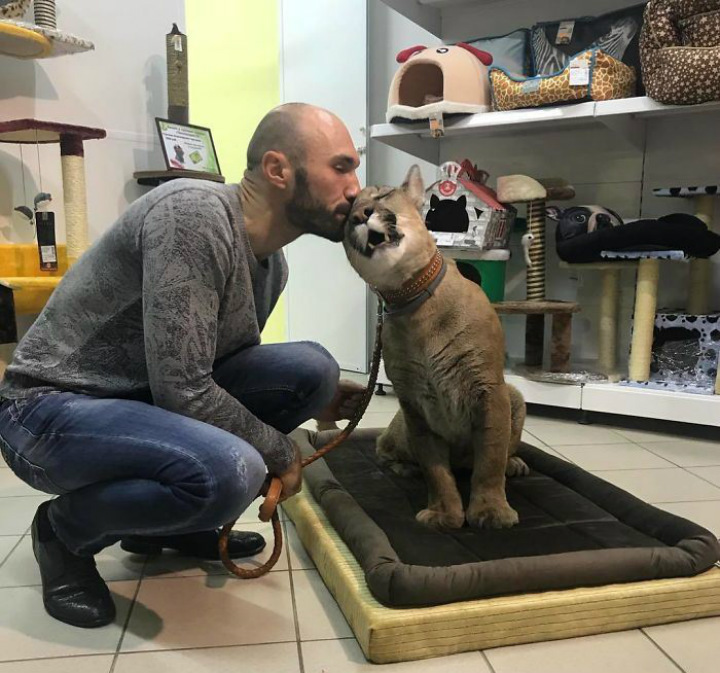 Messi the mountain lion was born at a zoo in Russia alongside two brothers, but he was weaker than them and burdened with troubling health issues. For reasons out of his control, Messi was separated from his siblings and passed around from zoo to zoo for months. Far from his natural habitat, the future was undoubtedly precarious for the lone little cat of prey. Then, one fated day, he happened to catch the eye of an unlikely pair. 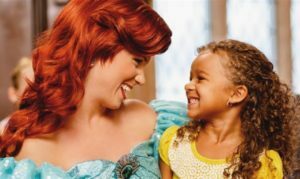 The incident would end up changing the lives of both the couple and the cub forever while grabbing headlines along the way. One of three puma cubs born at the Saransk Zoo in Russia, Messi faced several health challenges as a cub. The ferocious little mammal wasn’t growing as fast as his siblings and the zoo no longer wanted him. Still, he couldn’t be released into the wild because he was too weak to survive. 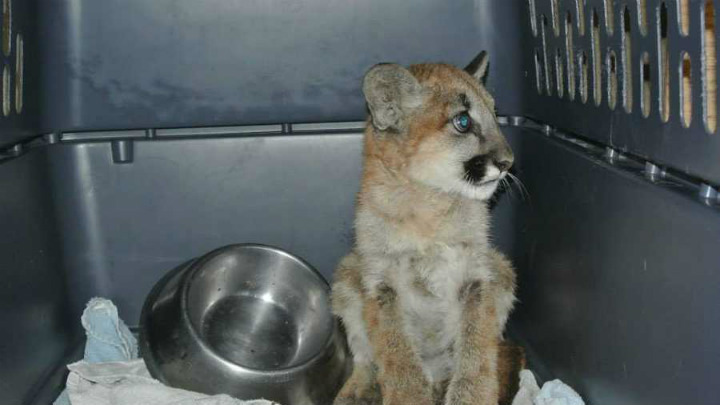 The puma cub’s fate was totally up in the air. 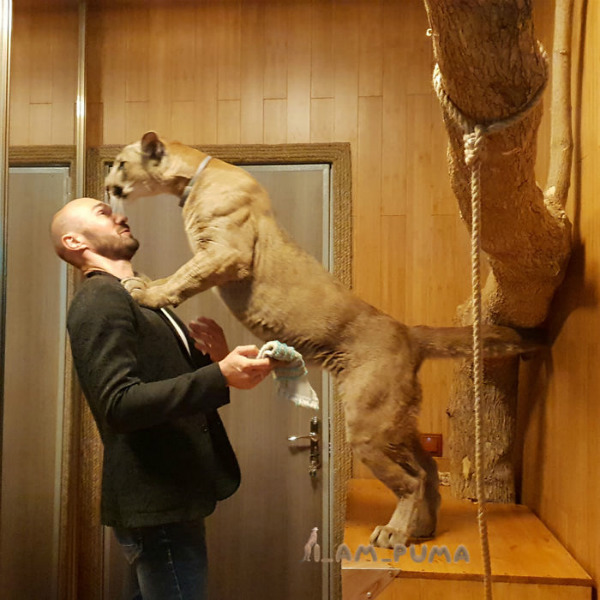 Then, at just three months old, a petting zoo swooped in and took the mountain lion off Saransk’s hands. Messi couldn’t have known it, but being taken in by the petting zoo was his lucky day. He’d soon meet someone there that would change the course of his life forever. Messi spent a few months at the local petting zoo, located in a town called Penza, being observed and, well, pet. 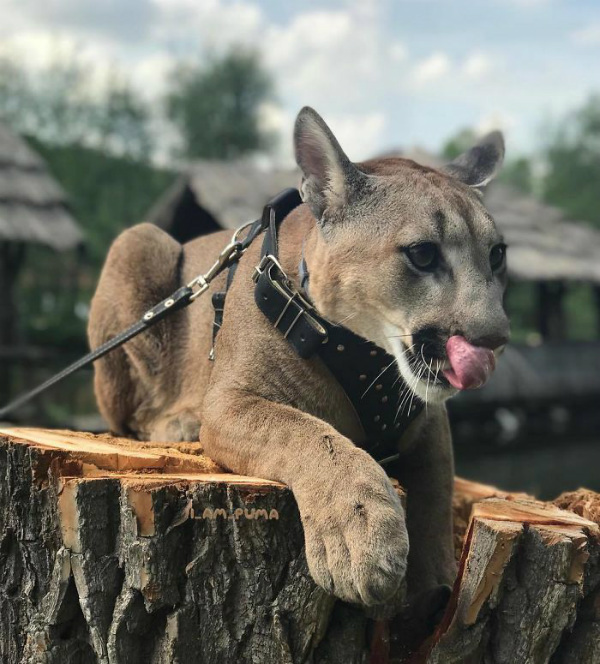 It should be mentioned that it is extremely unusual for a dangerous predator like a puma to be taken in by a petting zoo, which usually houses cuddly animals like rabbits and sheep. 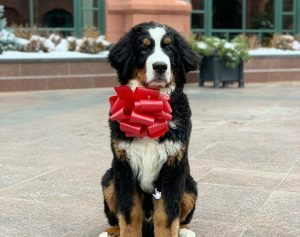 He was away from his siblings, Suarez and Neymar, who were also named after famous soccer stars to celebrate Russia’s hosting of the world cup in 2018. They remained at the main zoo in Saransk. Messi must have been terrified, and he didn’t even know what the petting zoo had in store for him. 3. A Gentle Mountain Lion? At the petting zoo, Messi put his gentle personality on display. It’s extremely out of character for a mountain lion, a powerful predator that can be deadly to humans, to be so relaxed around people. But Messi never attacked anyone. Nevertheless, the local petting zoo was at a loss regarding what to do with the cat. Due to his health issues, he was unfit to live in another zoo or wildlife sanctuary. And Messi was significantly smaller than other typical male cougars, especially the ones native to Eastern Europe. If he were released into the wild, his chances for survival were slim. The petting zoo felt it was running out of options for Messi—and those options were becoming more ominous. As a local zoo, the Penza zoo had to decide what to do with Messi, and fast. The zoo didn’t have the resources to keep him there for long. Plus, they knew Messi would soon grow bigger and more ferocious—not quite the attributes their employees were used to dealing with in animals. Eventually, the workers at the petting zoo planned to euthanize the puma cub. After five months at the place, it appeared as though puma’s short time on the planet was about to come to an end. Just then, Messi would encounter two humans different from all the others he’d ever met. 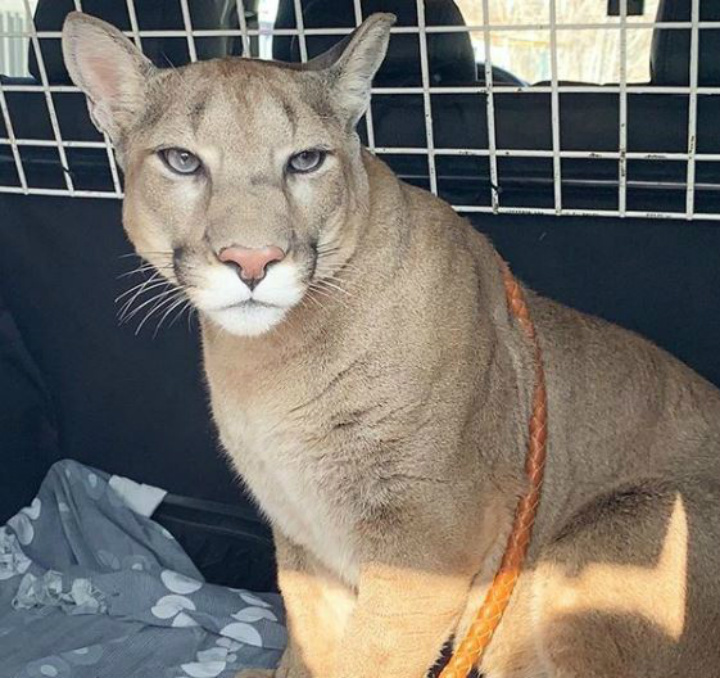 They certainly hadn’t planned on purchasing an animal from the petting zoo, but then again, they didn’t know they’d encounter such a magnificent mountain lion. The Dmitrievs simply couldn’t take their eyes off Messi. They had no idea their initial fawning over the big cat cub would later lead to a true international sensation. Aleksandr and Mariya left the petting zoo that day, but neither of them could stop thinking about the puma cub. According to Mariya, her 38-year-old husband always dreamed of owning a big cat. “He always thought about having a lynx – never a puma,” she said. The two spent a few days after their zoo visit deliberating the morality and logistics of keeping such a large mammal in their apartment. 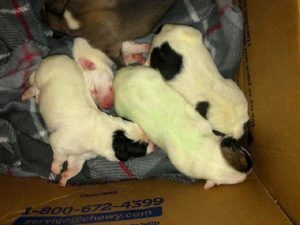 There were also concerns that he might become more aggressive with age. They couldn’t bear the thought of leaving Messi at the petting zoo, however. And they didn’t know their urge would materialize in the most unusual way. The couple prepared their home for what they hoped would be their enormous new roommate and headed to the zoo. 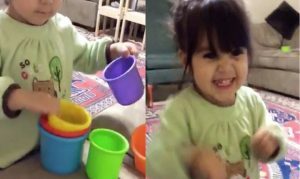 They believe having Messi is part of their destiny, Mariya added. But would the zoo agree to give him up? Russia’s laws regarding owning exotic pets are relatively lax compared with those of other developed countries. As long as the Dmitrievs acquired the relevant permission from federal authorities in charge of environmental protection, they’d be in the clear to own a large cat. 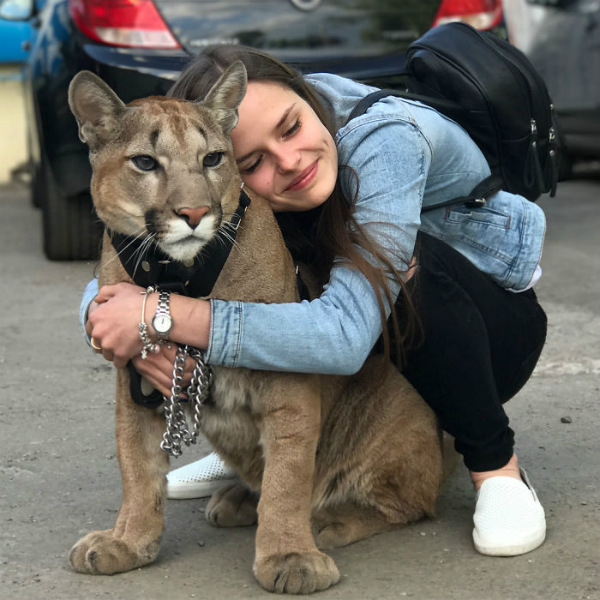 As far as the petting zoo was concerned, it needed to get rid of the puma regardless of whether they sold him to Aleksandr and Mariya. So, for the workers at the zoo, it was an easy decision to make. “We were surprised ourselves when they agreed,” Mariya said. Now came the hard part for the couple. 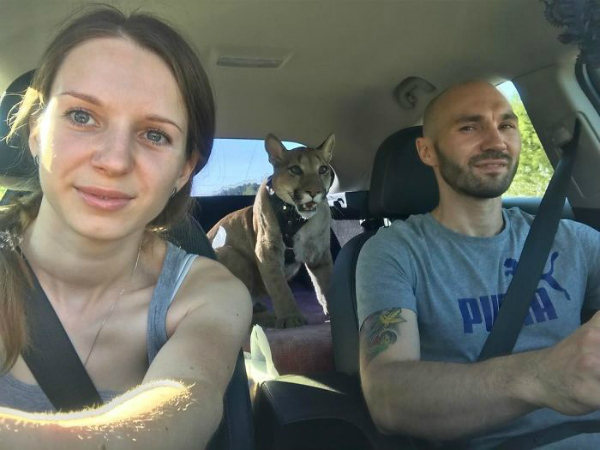 After Aleksandr and Mariya Dmitriev had purchased an eight-month-old mountain lion cub, they had to figure out how to take care of it without having had any prior training. After all, this is an animal that can reach almost 7.9 feet from nose to tip of tail. 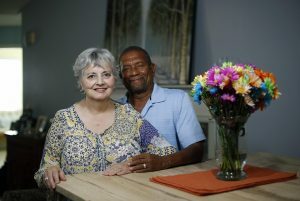 What made the task even more challenging is that the couple lived in a one-bedroom apartment. 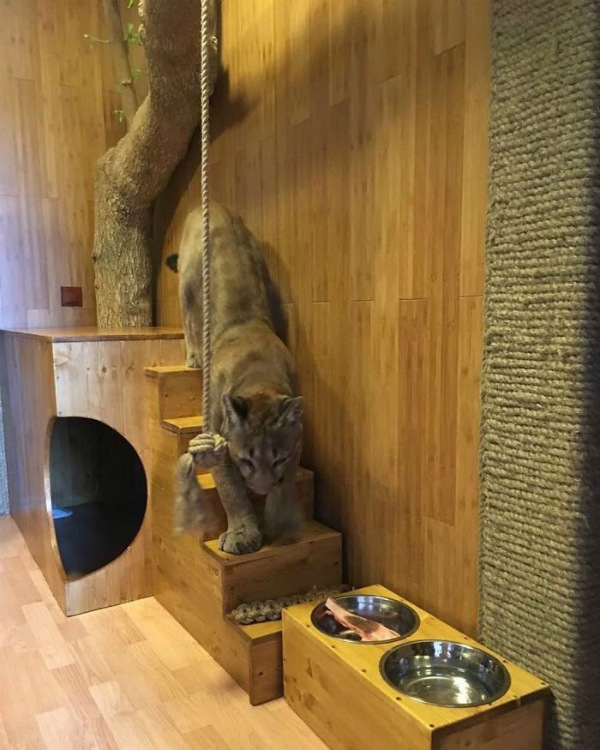 Now they’d have to share the space with a roaring mountain lion named after a soccer superstar—in addition to another cat that already lived in the apartment. That’s right, Messi was going to have a feline companion as well. 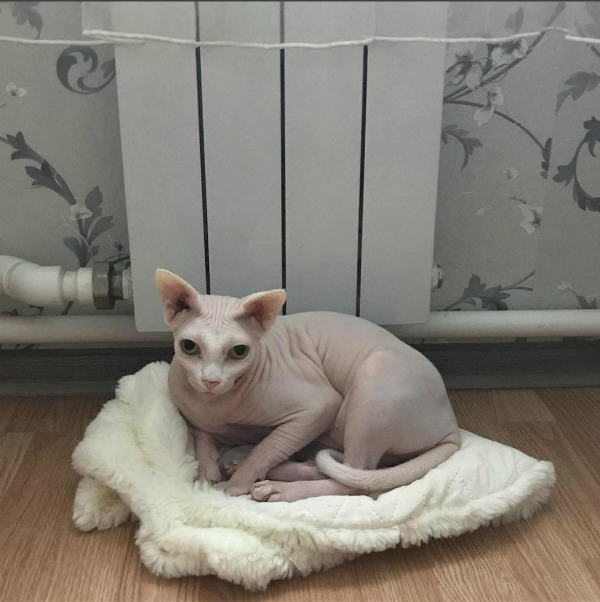 When the Dmitrievs purchased Messi and brought him back home, the couple had already owned a different feline, a sphinx cat named Kira. Excited about the prospect of making a new friend, the puma cub approached the female cat to play. It didn’t go quite as Messi expected. As the mountain lion approached the much smaller sphinx, Kira hissed and clawed at him. Any other puma might have torn his antagonizer apart, but Messi simply turned the other cheek. It turns out that in a match of cats, size isn’t always the deciding factor. Nevertheless, Messi seems to be doing just fine on his own. But that wasn’t the only challenge the Dmitrievs had to face. Taking care of Messi turned out to be a huge challenge—and not just because of the obvious reason that he is a wild animal. Mountain lions are solitary animals in their natural habitat, steering clear from humans and hunting mostly by night. So it’s safe to say the urban lifestyle was a little different for Messi. 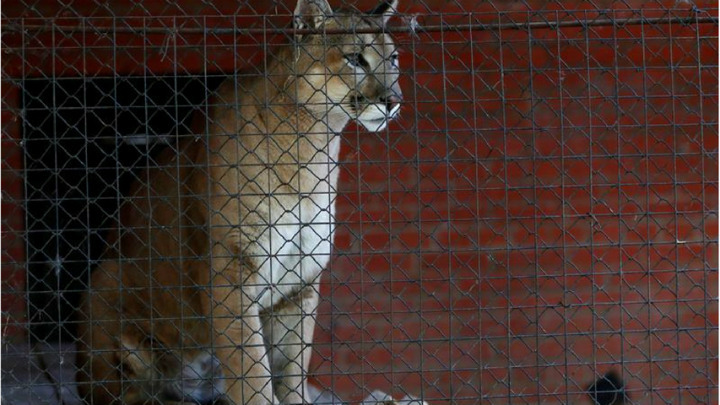 The big cat suffered from health issues that demanded extra medical attention and care, too. 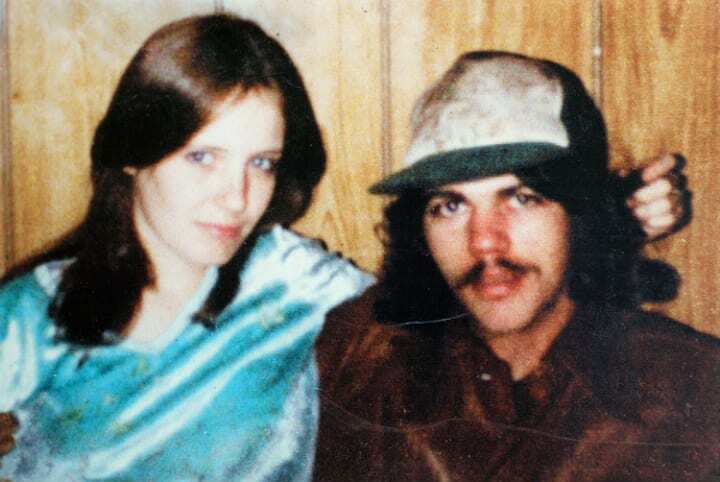 It was a lot of responsibility for the young couple, but they took it head on. Messi was a special animal, gentle and open to being loved by humans. All they had to do was provide the attention he needed, and the rest would come naturally. Or at least that’s what they thought. Just like his much smaller house cat counterparts, Messi requires tons of exercise. The difference is that his can’t be restricted to the Dmitrievs’ one-bedroom apartment. So the couple bought him a special coat and harness so they could take him on walks. Physical activity was key to making sure Messi remained healthy, and it was an important part of the training process. The idea was simple: If Messi took off steam outside, he’d behave back at home. It mostly seemed to work! 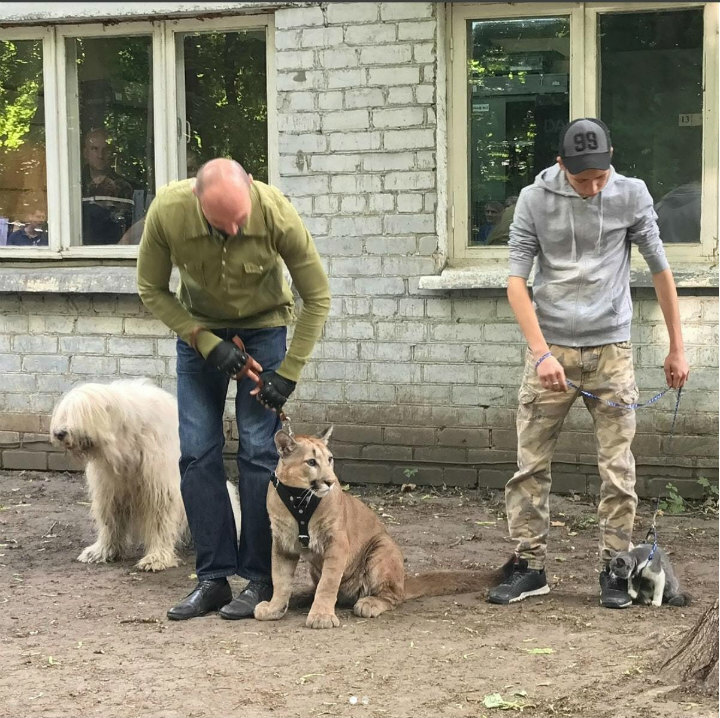 And as Aleksandr and Mariya started training their pet puma, they noticed he even resembled another kind of animal. Indeed, the puma mostly behaved and went along with the routine his new owners put in place for him. 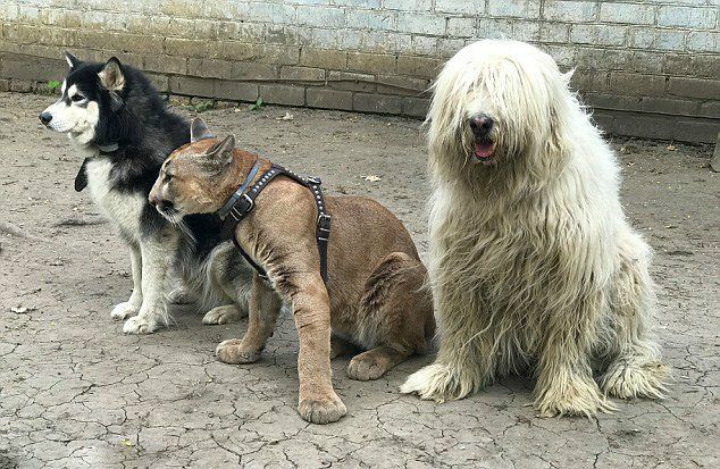 Soon enough, though, Aleksandr and his wife would come to clearly understand the difference between owning a dog and owning a pet puma. Of course, the major difference between Messi and dogs is, well, he isn’t a dog. He is an enormous mountain lion with the propensity to tear apart anything that angers him even in the slightest. Aleksandr and Mariya realized that when they tried to find a wild animal handler for their loveable giant to no success. No animal expert around was willing to take on the task of training a large cat with the potential to be aggressive, or even deadly—no matter how friendly he seemed. Yet the Dmitrievs desperately needed professional help to domesticate their gentle giant, or the result could be catastrophic. The Dmitrievs searched long and hard for a trainer, and when they finally found one, it wasn’t the kind of person anyone would expect. 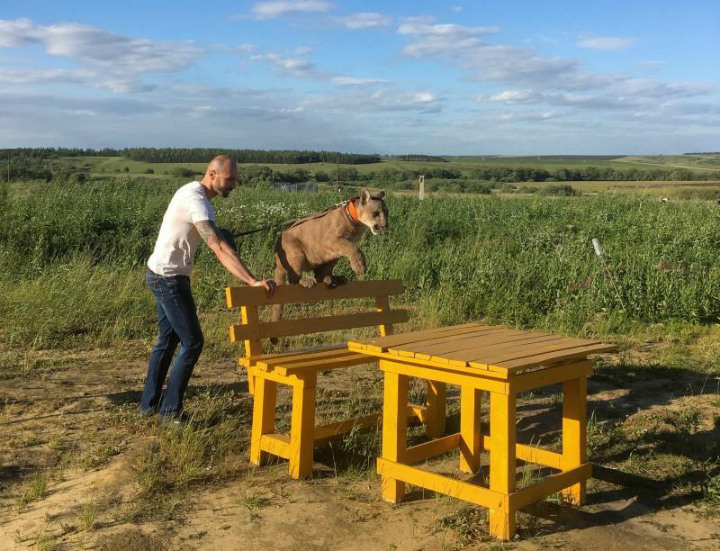 Instead of going with an exotic animal trainer, Aleksandr and Mariya found a dog training school Messi could attend—in the company of dogs. 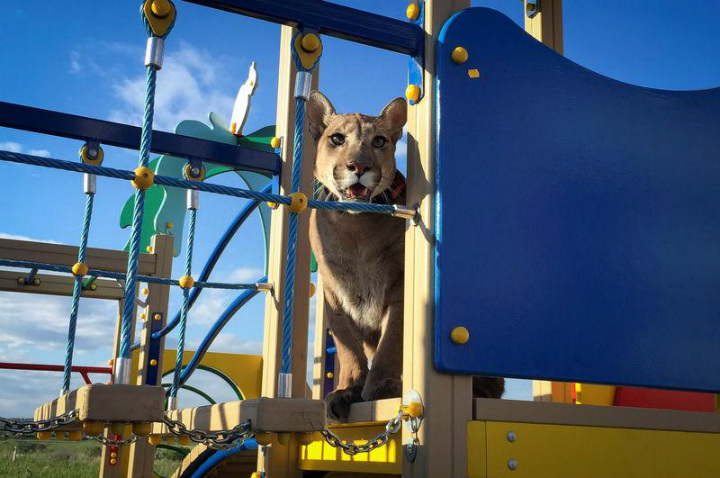 The school immediately noticed that Messi was no ordinary mountain lion. 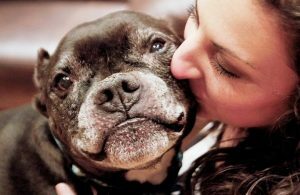 He was so gentle and well-mannered around humans and even liked to gently play with the other dogs—they simply couldn’t refuse such an adorable student. The question remained: Would a big cat be able to be domesticated the same way dogs are? Putting Messi in school with a bunch of dogs was quite risky, to say the least. 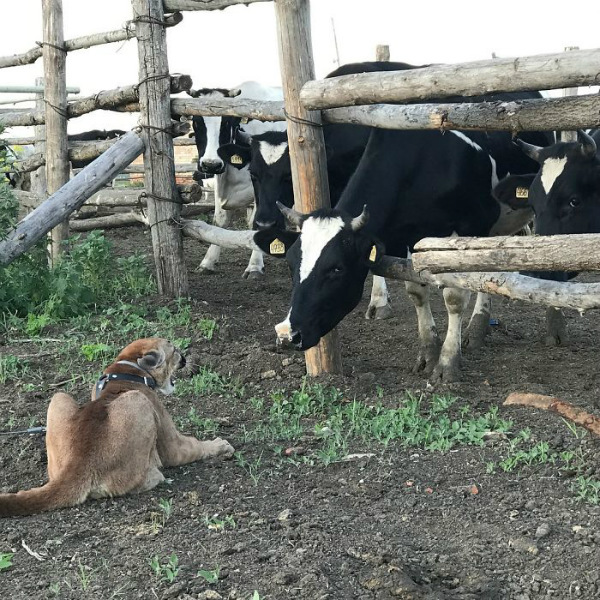 There’s no telling how a large cat—and a male, at that—would react to the pesky sniffing and snooping of the canines around him. If he were to strike, the puma could seriously hurt someone. But dog training school went well for Messi. 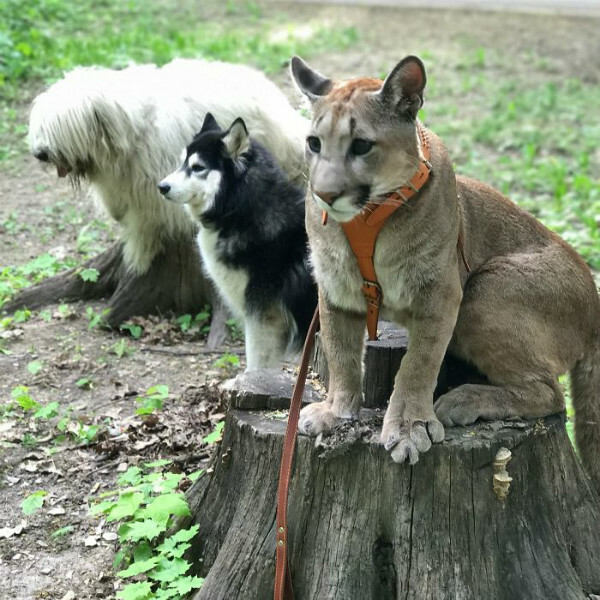 In addition to his daily walks, the mountain lion trained alongside his canine companions on a regular basis, and peacefully. He even played with them. After the program, he learned to respond to about 10 different commands. 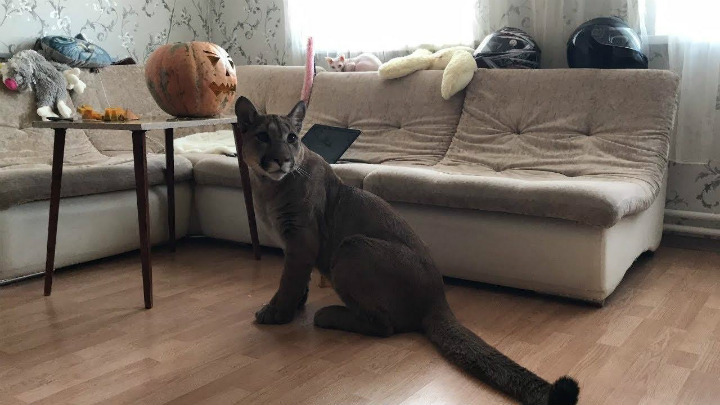 And what was life like for the puma back at the Dmitriev residence? Let’s just say the place was adapted for the puma in an incredible way. 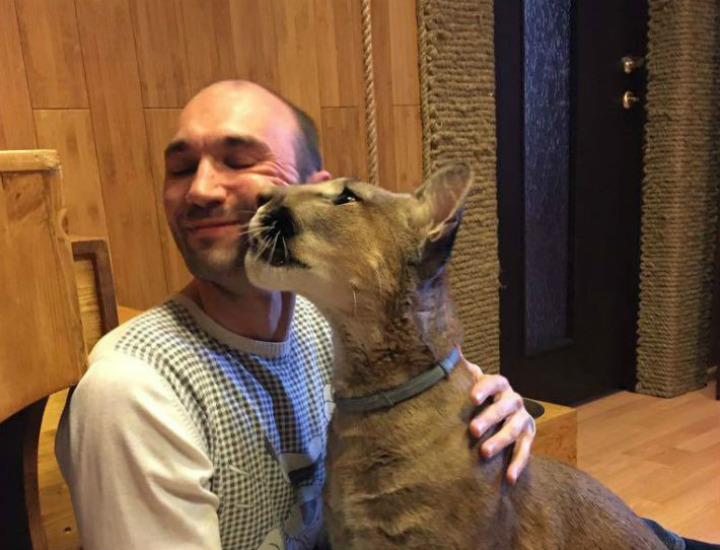 Even though the Dmitrievs live in a relatively small one-bedroom apartment, they did the best they could to accommodate their cuddly puma’s needs. They converted their hallway into Messi’s den, complete with bamboo walls, a hiding hole, and a tree. 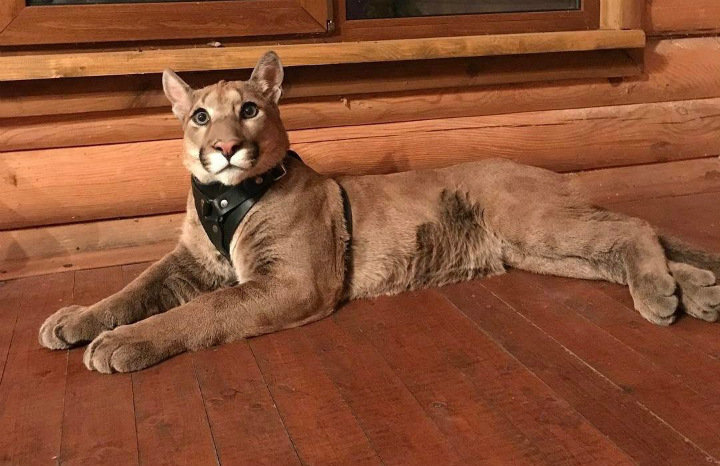 They also equipped the hallway walls with an enormous mirror so the puma can watch his reflection while strolling by, which is a psychology trick to make the place seem larger. The bath tub serves as his giant litter box, too. Messi’s favorite pastime in the apartment is staring through the bathroom window at the grassland that surrounds the apartment. And what do the Dmitrievs feed their very own cat of prey? In the wild—mostly in the Americas—mountain lions hunt at night, usually preying on deer, but also going for smaller animals like coyotes, porcupines and raccoons. “These cats employ a blend of stealth and power, stalking their prey until an opportunity arrives to pounce,” according to National Geographic. Of course, Messi wouldn’t be going on any such adventures. Still, keeping him on the right diet is important to the Dmitrievs. 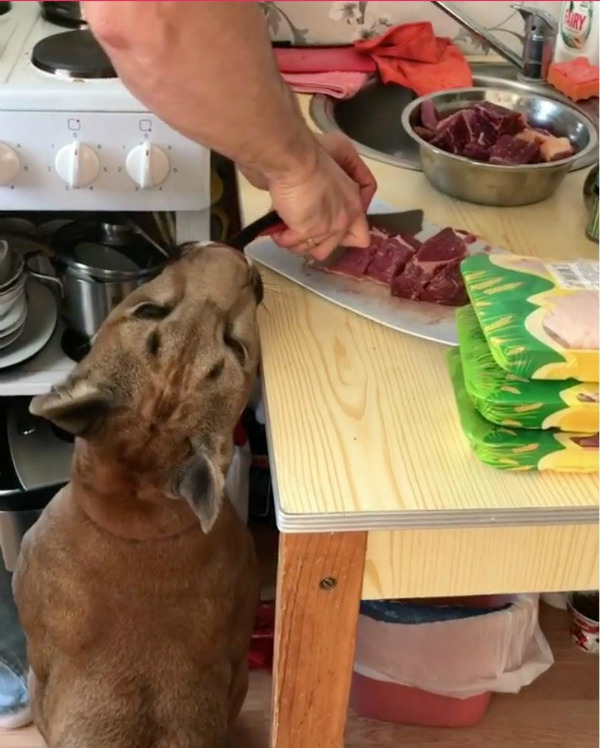 They spend between $300 and $600 every month on food for the mountain lion, according to Reuters, keeping him on a diet of various kinds of raw meat. There’s something else Messi was given to really give him the touch of a star. One thing Messi has in common with other cats—and dogs, for that matter—is his love of toys. He simply can’t get enough of them. 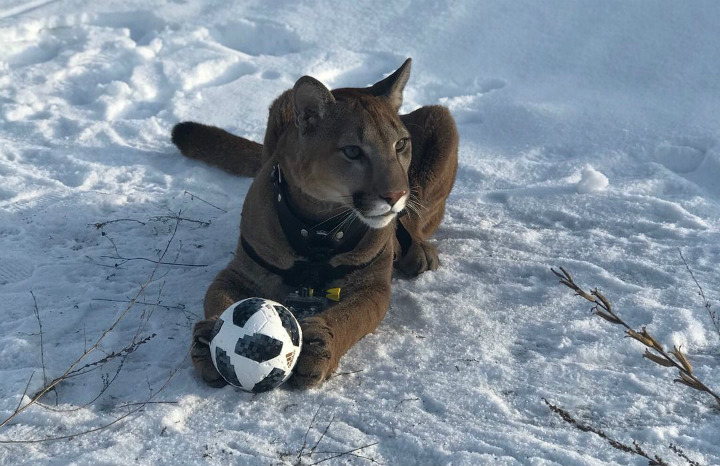 After a Brazilian journalist discovered the sweet mountain lion’s story, the reporter gifted Messi a mini soccer ball, which he bites on and plays with, though he’s not quite as talented as his namesake. All in all, it’s safe to say Messi the puma lives like a star. Soon enough, the world began to take notice of Aleksandr and Mariya’s love affair with their new exotic pet. Journalists and influencers everywhere wanted a piece of Messi’s story. 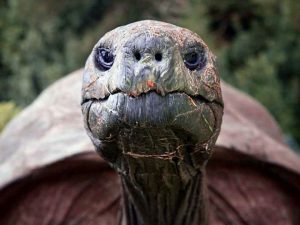 Even though people who own exotic pets are more visible to the public these days with the advent of social media, it’s still quite rare. As such, the Dmitrievs attract a great deal of attention by documenting life with their enormous “housecat” on social media. While the real, soccer star Lionel Messi has more than 100 million Instagram followers, puma Messi does well for himself too, with 807,000 followers on his @I_am_puma account, and more than 268,000 subscribers on YouTube channel. But, even with all the perks, there are certainly not everyone is so excited about the Dmitrievs’ owning a pet puma. Some animal and environmental rights activists have raised questions about the Dmitrievs’ keeping an exotic animal in their home. They believe Messi belongs on a wildlife reserve or sanctuary. Others are concerned for the safety of the couple, noting the danger that accompanies living with a large cat. As mentioned, mountain lions can be extremely dangerous mammals and aren’t meant to live with humans. It isn’t unheard of for a big cat to eventually turn on its owner, or attack an owner by mistake with the intention of playing. There is a reason most people don’t own such animals. But the Dmitrievs defend their arrangement. The couple, on the other hand, believes what it is doing is critical to Messi’s survival and well-being, arguing the puma would never survive alongside other animals in the wild. “Of course it’s quite dangerous having such a large cat at home, but Messi is a special animal,” Mariya told the Mirror. Even though there are, on average, four puma attacks and one human fatality each year in the United States and Canada—where most of the world’s pumas live—Messi has never harmed a human being to date. The Dmitrievs are certain their cat will remain peaceful, and they’re willing to bet on it. Soon enough, Messi was as domesticated as a Persian cat. O.K., maybe not quite. But he certainly proved he was willing to be, according to the Dmitrievs. “He convinced us with his behavior that he’s a full member of our family and that he wouldn’t be doing anything bad apart from some small naughty things,” Aleksandr said. “He’s very kind and likes contact. 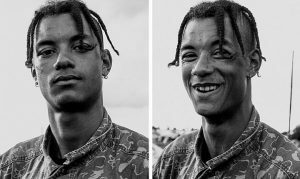 He gets on very well with people,” Aleksandr he added. And one only needs to look at Messi’s Instagram to see that seems to be the truth. Still, there is a downside to owning a mountain lion. Owning Messi has certainly spiced up life for Aleksandr and Mariya. They enjoy their time throwing the ball around with the puma, taking him for walks and feeding him more than anything in the world. 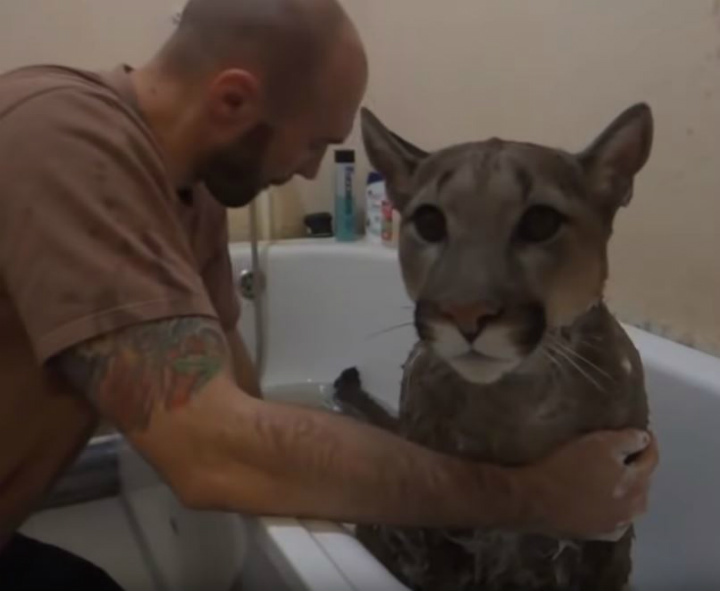 But let’s not forget taking care of a mountain lion is an all-consuming job. Aleksandr, who works as a deputy manager at a local printing house, can’t join his friends for a happy hour drink in the evenings until after eight, because that’s when he takes Messi out for a walk. 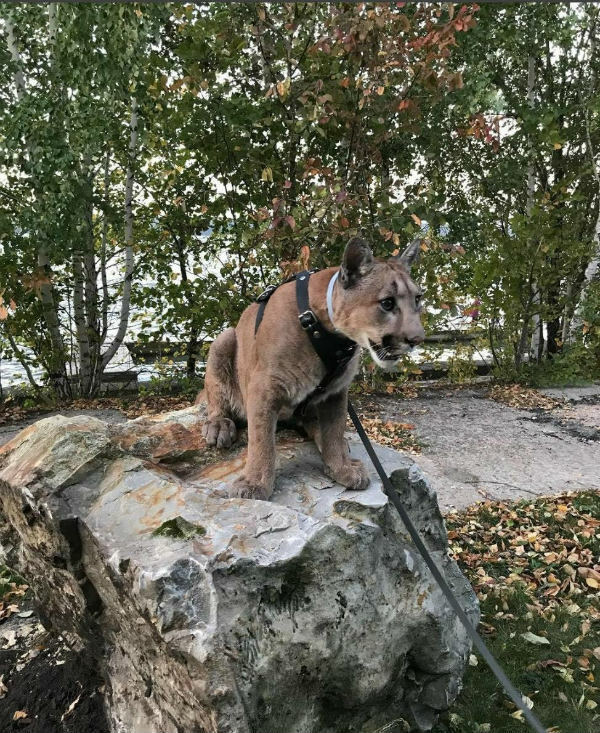 Vacations for the couple can only be in destinations that are driving distance, and even then it’s not easy to find a hotel that will take in a mountain lion! And what about Messi’s kin? Although mountain lion populations have declined across the Americas, the might be making a comeback. 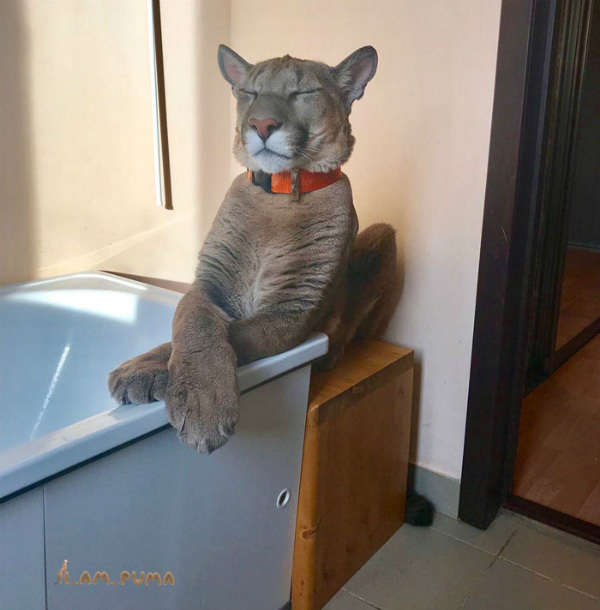 According to National Geographic, some biologists believe pumas like Messi have the potential to recolonize much of their Midwest and Eastern range in the United States if humans allow them to. With tons of deer to hunt, puma populations are considered quite stable in the western U.S. states. 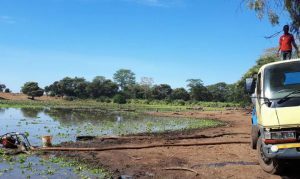 They are even considered sustainable enough to allow some hunting. So, while Messi is thriving in Russia, his brethren are doing just fine themselves in their ancestral homelands as well. It turns out Messis are champions in more than just soccer.